Have you ever spent time and energy on a business proposal only to have it rejected? Or worse yet, you never even hear back from the potential client? It doesn’t really matter how awesome you are at your craft if clients never hire you in the first place. 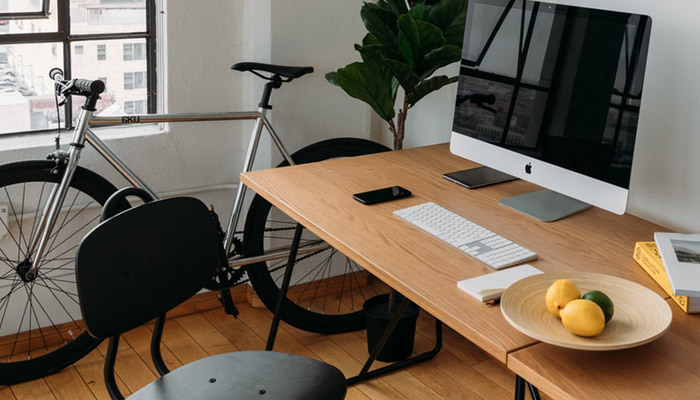 Honing the art of writing a business proposal will land you more jobs, allow you to receive higher pay, and make for much smoother projects overall. While this article will go into detail of what to include in your proposal, it goes much deeper than that. In fact, the most important time you will spend on this proposal isn’t even writing it, it is something else entirely. We’ll get to that in a minute. Short on time? Download a Sample Proposal. Estimate - This is basically a pre-invoice. This is often a single page that breaks down the items included in the project and their respective costs. These are quick and simple to create, and should only be used when you already have a relationship with the client, and for smaller projects. Uses may include: adding on to an existing project, follow-up work, formalizing a verbal agreement. Proposal - This is a multi-page document that explains the project requirements, the methodology you will use to complete the project, a timeline, costs associated, and information about your company (including testimonials). These are much more formal and are used for larger projects, or when you need to give a client some more background to help them make their decision. Many freelancers simply send estimates for work instead of putting the time into an amazing proposal. This can be the reason why they don’t hear back from many clients. 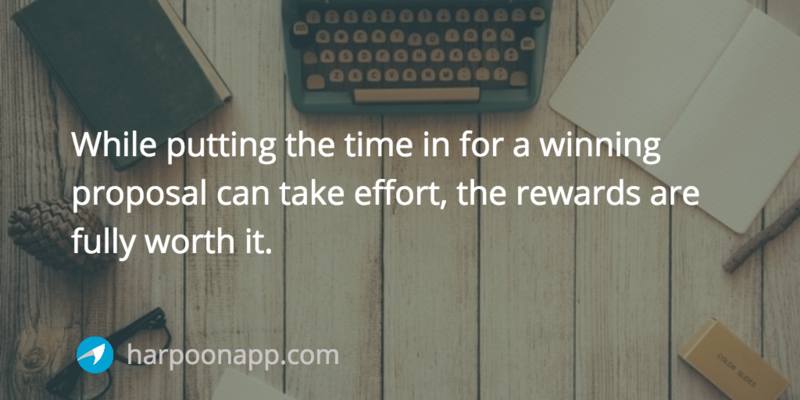 While putting the time in for a winning proposal can take effort, the rewards are fully worth it when you start winning those bids left and right. When a client wants a handful of proposals to review, they create a Request for Proposal (RFP). They can either post these somewhere publicly, or send them individually out to various vendors & partners (that’s you). RFP’s can be lucrative because they are often mandatory for large organizations and governments (to show that they’ve fairly evaluated multiple proposals instead of showing favoritism). Should you respond to an RFP? Well, that depends. It can take some time to respond to an RFP appropriately, as there are often requirements for your proposal that might take time to gather and present. Also, there are likely many other vendors submitting proposals for this project, so your chances for winning is going to be pretty difficult unless you have some major advantage. 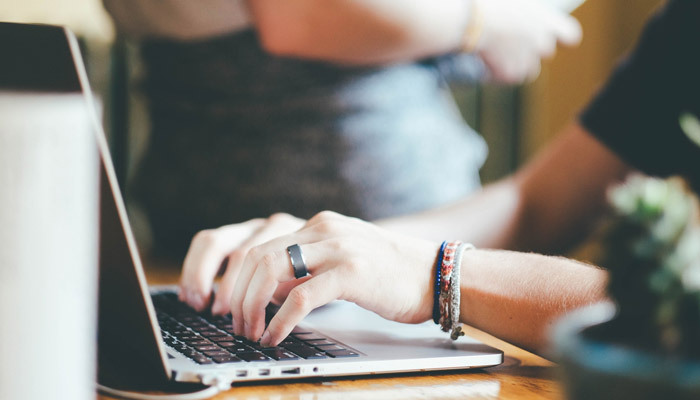 Personally, I don’t respond to RFPs because I prefer to focus instead on projects where I have been referred or we have an existing relationship. When there is already trust established, projects tend to go much more smoothly and I am typically not wasting my time when putting together a proposal for these clients. When submitting a proposal, the most important thing to remember is to focus on your client’s needs, not how awesome you are. This sounds simple, but think about it, most proposals are full of how the vendor, agency, or freelancer has done great things, knows what they're doing, and produces happy clients. These are good things, don’t get me wrong, but every other proposal is also going to be toting how awesome their team is. Talking too much about yourself is an easy way to lose a proposal bid. The best way to win a proposal? Convince the client that you understand their problem. 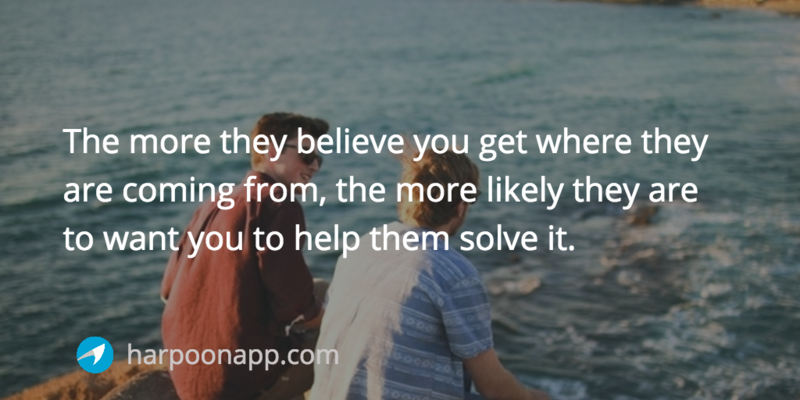 The more they believe you get where they are coming from, the more likely they are to want you to help them solve it. What would an ideal outcome for this project be? How would your business benefit from success in this project? What is not happening now that this project would address? Many times a client will describe a project as “Build us X”, when really they are looking to solve a business problem, and building “X” might not actually be the best solution. Perhaps building “X” and throwing in a “Y” would really solve the need. If you take the time to truly understand their problem, you will be in a position to provide a solution that they will be happy with, even if it isn’t what they were initially asking for a proposal for. 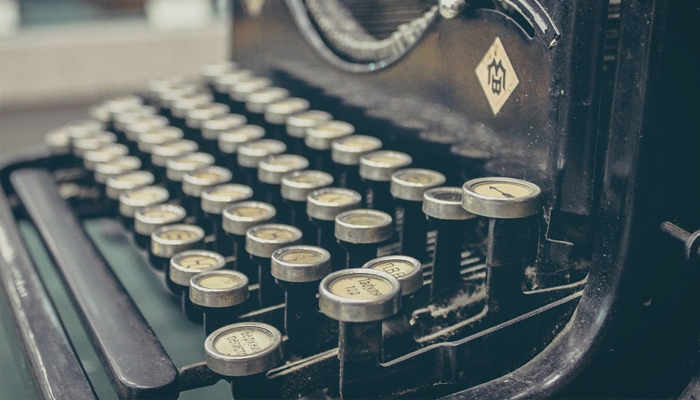 This is the secret of a great salesperson: repeat exact phrases back to your client. Literally, word-for-word, parrot their words back to them when creating your proposal. It’s a simple trick that yields tremendous results. Often times we use the words that make the most sense to us, but these aren’t the words that make the most sense to your client. They used those words when they spoke to you over the phone…take notes, and use that terminology when creating your proposal. You will come across as “getting” their problem as they have described it, and will be much closer to winning that proposal. Think about those two statements from the eyes of a prospective client. Which of the two would you be more likely to hire? 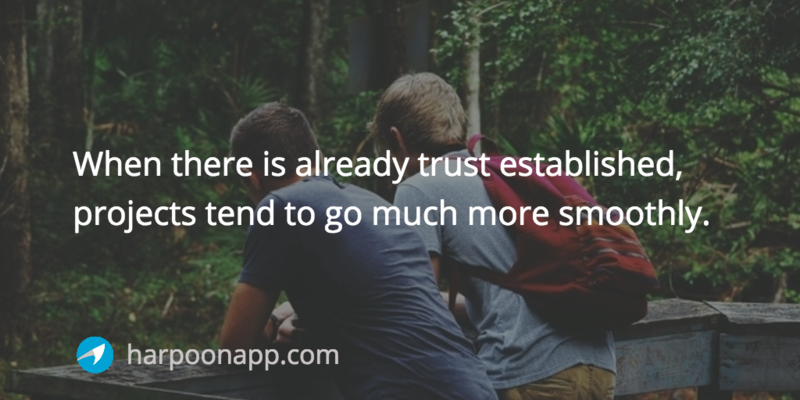 We all tend to do business with people that we already know, like, and trust. Ultimately, it would be great if you already knew the client before submitting the proposal. However, this is not always the case, or even possible. That being said, you can take some steps now that will help that become more of a probability. Do you serve a particular industry or niche? If so, go to conferences and gatherings where those folks tend to congregate, and network some new relationships. Don’t worry about selling them on your services, just be likable. What’s the best way to be likable? Talk to them about themselves. If you are in a situation where you haven’t already established a relationship with the client, then just set up an “exploratory” phone call to get to know them. Afterwards, follow up with a thank you email. Follow and interact with them on Facebook, connect with them on LinkedIn. Build a relationship with them in any way that you can and you will be more likely to win that proposal. Okay, enough about the prep work. What do you actually put into one of these proposals? 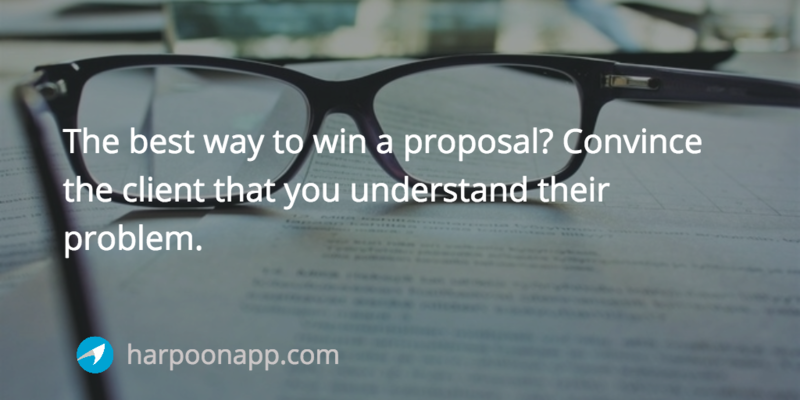 What are the elements of a winning proposal? The first section of a proposal should include the needs or problems of the client. Again, use your client’s own words when writing this out, it will resonate more with them as they read through it, and will position you as a vendor who understands their unique needs. Remember when I told you to ask them “What would an ideal outcome for this project be?” That goes here. This is the section to highlight what you hope to attain after this project. Don’t go into detail of how you will accomplish it, that’s why we have the next section. Here you write out, in detail, how you are going to accomplish the goals and objectives previously described. What technologies will you use? Specify as much as you can about the scope of this project, because this is the section that will protect you when the client wants more than you thought you were signing up for. Specify exactly how many pages their website will have, how many photos you’re going to take, how many hours of meetings you plan on attending. A specific scope of work not only protects you, but shows the client that you actually know what you are talking about. I’ve bid on projects before where this section was only a couple of bullet points on other proposals, but a couple of pages on mine. Guess who won the bid? The person who sounded like they thought this through and had a plan. Don’t rush through the scope of work, it is the section most likely to win you the project. During the pre-proposal phase I usually try to get an idea of what timetable the client is working with. Do they expect this done in a week? In a month? Find out what they are expecting, thinking about what you are reasonably able to deliver on, and write that out in the timetable. Set deadlines that will not only keep you on track, but will make them feel good about the progress of the project. Ahh, the money question. How much is this going to cost? Just like the time-table, I try to get a feel for the budget of the client before submitting a proposal. Even if it just a range, it is helpful to know what they are planning on spending on this project. Of course, you want to be fair and offer a deal if you can, but sometimes submitting a proposal well under their expected budget can lose you the job. Don’t worry about being the cheapest vendor submitting a proposal, if that is all your client is looking for, then this isn’t going to be a very fun project. Hopefully, if you knock the other aspects of this proposal out of the park, as long as you are reasonably within their budget, they will choose you over the cheaper option. If you will be the only person working on this project, then you may want to leave this section out as you’ll be describing yourself later in the “About Your Company” section. If you’ll be pulling others in to work with you on this project, highlight them here. Clients feel better knowing that there is a small team working on making their business a better place, especially if those team members have multiple successes behind their name. This section helps boost your credibility in the eyes of the client, and ensures them that you’ve thought the project through and have made provisions for tasks that are outside of your own personal domain. Earlier in the proposal we included some goals and objectives. How will you know whether those are hit? The evaluation section may just be a rehashing (in other words) of the objectives section, but it is important to have these items listed out somewhere in the proposal so it is clear when the project should be labeled as a success or not. You’ve worked hard on your relationship-building and proposal generation, now it is time to provide a clear roadmap for how this project should move forward. How much advance notice of acceptance do you need before beginning this project? Who should contact who after you send this? Is a deposit required with the acceptance of the proposal? Even if it is a simple sentence that clarifies that you will be waiting on them to respond to this proposal before any work will begin, it is good to point this out specifically within the proposal to clear up any miscommunication. Surprised to see this section at the end of the proposal instead of the beginning? That’s because this section focuses on you. They won’t care about you until you’ve convinced them that you care about them, which is why the other stuff comes first in a successful proposal. While it is good to highlight the awesomeness of your company here, your goal is to convince them that you will bring success to their company. Tell them about specific results that you’ve achieved for clients, and include positive testimonials. So there you have it, the major sections of a proposal. Sounds like a lot of work, doesn’t it? Well, the good news is that you can re-use some of this content from proposal to proposal, and they will become easier to generate. Certain sections, like “About Your Company” might not need to be tweaked differently for various proposals. Even the goals and objectives might be re-used from time to time depending on how similar your client situations are. Over time, your rates and availability are likely to change. 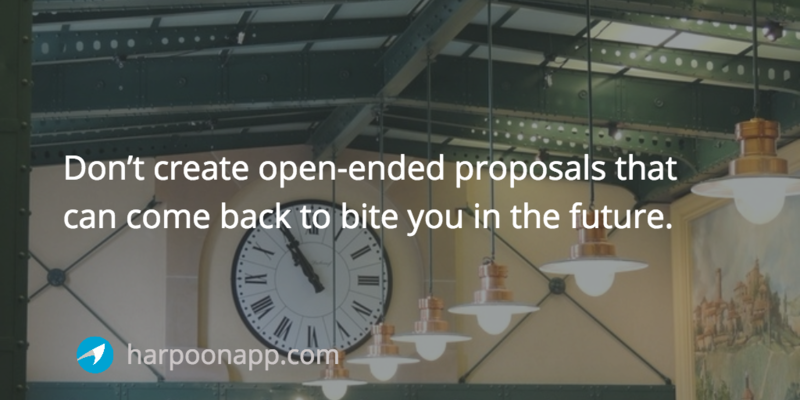 Don’t create open-ended proposals that can come back to bite you in the future. More than once I’ve sent proposals only to hear back from the client months later, ready to move forward. You’re not simply sitting around waiting for work for months on end, so don’t give your clients permission to treat you accordingly. Place an expiration on every proposal you send, so you know whether or not to carve that time out of your schedule. The added bonus is that if they do want to move forward on your proposal long after the expiration date, you can send over a new proposal with any adjustments in fees or timeline that you need, based off of your current business situation. Sometimes what you have in mind as a solution is different from what the client has in mind when reading the same terms on a proposal. This is why it is very important to be detailed whenever necessary to specifically spell out what will be performed to fulfill the contract. Don’t rush through proposal creation, it will become the document that guides the success and expectations for the project. I used to simply send proposals out to clients then sit back and wait for a response. Well, technically I moved forward with other stuff while waiting, but I wasn’t very good at following up. 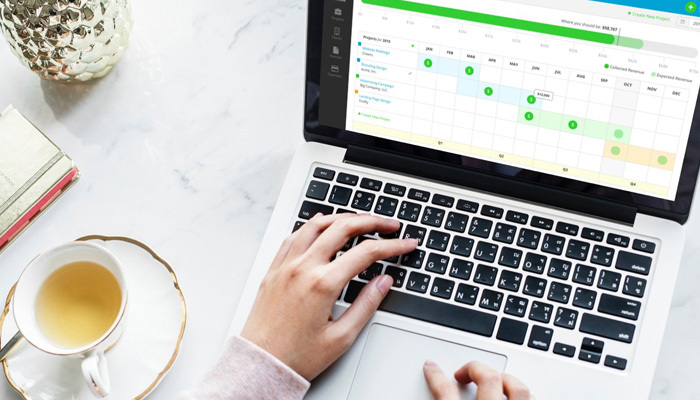 If you want to run your business more professionally, queue up some communication reminders surrounding the timeline of the proposal. Day 0: Send the proposal. Day 2: If you haven’t heard back from them, ask them if they received it and if they have any questions. Day 10: Remind them that the proposal will expire in a few days, ask them if they have any questions or would like to schedule a call. Day 14: Inform them that you were hoping for a decision by today as the proposal is expiring and you’ll have to fill your calendar with other work. Invite them to call you with any questions. Day 15: Inform them that their proposal has expired and you will be moving forward with other projects. Remind them that you’d love to work with them in the future and if they would like to move forward with the proposal to let you know as soon as possible and you will send them a new proposal with an updated expiration date (however, the terms may change due to your current business situation). Day 45: Send an “out of curiosity” email, ask them if they found someone else to fill the project or if they’d like to revisit the proposal. Of course, this whole sequence depends upon their response from prior emails. However, assuming that they don’t get back to you on anything, this is a good sequence to follow to keep moving the project along, and provide opportunities to pick it back up in the near future if they just weren’t ready yet. PDF Proposal Template - 9 Pages, non-editable but universally viewable. Word Proposal Template - Same 9 Pages, and you get to edit them. Boom! Nusii - Stop fighting with Word, Google Docs, and unruly PDF’s. Nusii is the fastest way to close your next deal. With professional proposal templates, notification system, proposal tracking, and online signing, we know we can help your business grow. Bidsketch - Bidsketch is proposal software that helps you close deals in minutes. So you can focus on what matters: your work. Quote Roller - Quote Roller lets you create sales documents, employ dynamic quoting, and get electronic signatures. Thanks for reading! Reach out to us on Twitter and let us know what you thought of the article: @harpoonapp.